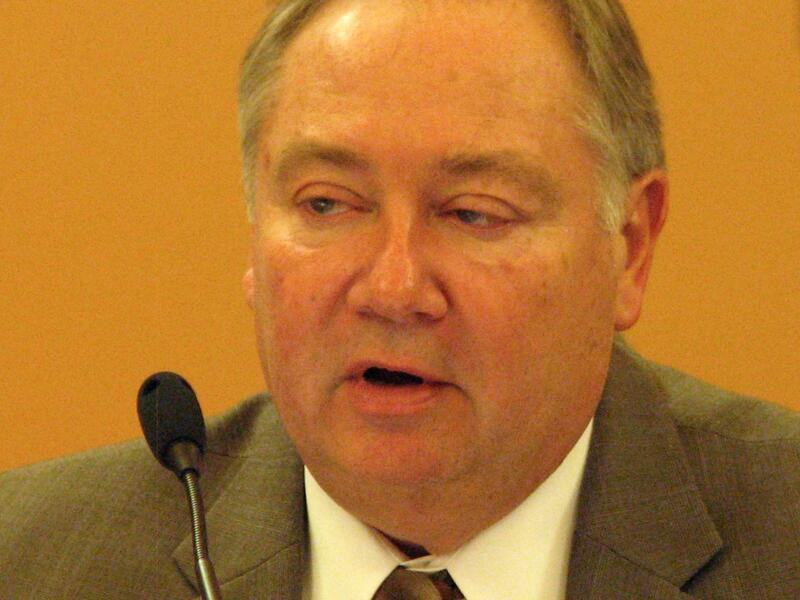 Kansas Sen. Jim Denning, an Overland Park Republican and vice chairman of the Senate Ways and Means Committee, says the income tax cuts passed by the Legislature in 2012 aren't working. “We obviously went too deep. It’s not producing what I thought it would produce,” Denning said of the governor’s tax plan, which cut individual income tax rates and business taxes. Denning is particularly critical of what he calls a “loophole” that exempted more than 330,000 business owners and farmers from paying taxes on pass-through income. Continuing a trend triggered by the tax cuts, revenue collections have fallen short in each of the first three months of the current fiscal year. To date, collections for the budget year that began July 1 are running $61 million behind official projections. Making matters worse, collections are failing to hit revenue targets that have been lowered several times. When the state’s official revenue estimating group met in April, they lowered the 2016 revenue target by nearly $100 million. 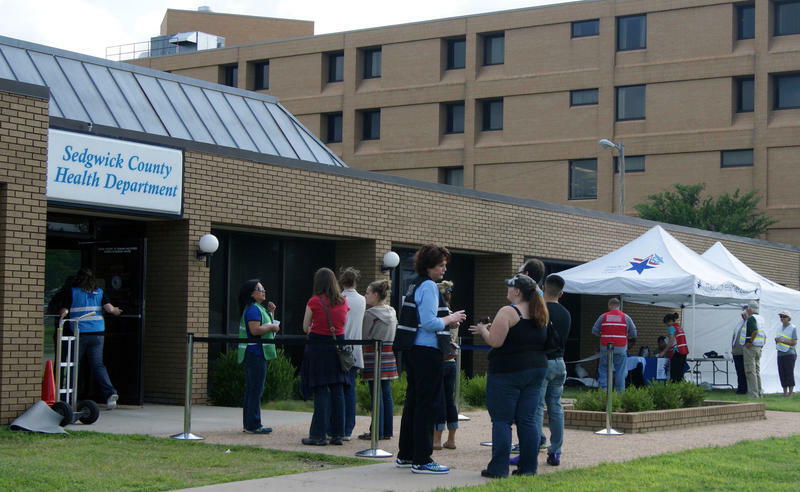 The previous November, they lowered their final estimate for the 2015 budget year by more than $200 million. “If these trends continue next month, we could have a zero balance in the checking account and that will by statute trigger the governor to cut,” Denning said. Faced with a budget crisis at the end of the 2015 legislative session, Gov. Sam Brownback blocked attempts led by Rep. Mark Hutton, a Wichita Republican, to eliminate the business tax exemption. He instead pushed lawmakers to raise taxes to generate the $400 million necessary to balance the budget. In an interview with the Wall Street Journal in May, Brownback defended his push to raise sales and tobacco taxes rather than scale back his tax cuts. “If your objective is to grow the economy, would you rather put more money into government, or leave it in the hands of small business?” Brownback said. Eileen Hawley, the governor’s communications director, said Brownback would continue to oppose attempts to scale back the income tax cuts or repeal the business tax exemption. The governor’s opposition won’t deter lawmakers from making another attempt in the 2016 session to repeal or scale back the business tax exemption and make other changes to stabilize the budget, Denning said. “I think legislators – me included – are very fatigued from it,” he said, referring to the ongoing budget problems. Tax collections in Kansas were $30 million below estimates for the month of August. The state’s tax revenues were hurt by large tax refunds given to companies as part of economic development programs. Secretary of Revenue Nick Jordan says there were bright spots in other areas of the tax numbers and the report would have looked significantly better without the large refunds. Kansas lawmakers have begun working on a proposal to study the state’s government for efficiency. The state will hire a firm to comb through and evaluate how Kansas spends money. Kansas lawmakers included $3 million in the budget to pay for the study. Republican Rep. Ron Ryckman is leading a group drawing up the contract documents. The hope is an outside firm could scour state government in a way that lawmakers can’t. Kansas Gov. Sam Brownback’s administration on Thursday announced $63 million in changes to the state budget. Much of that comes from increases in federal aid, cost-cutting measures and some services costing less than initially projected. 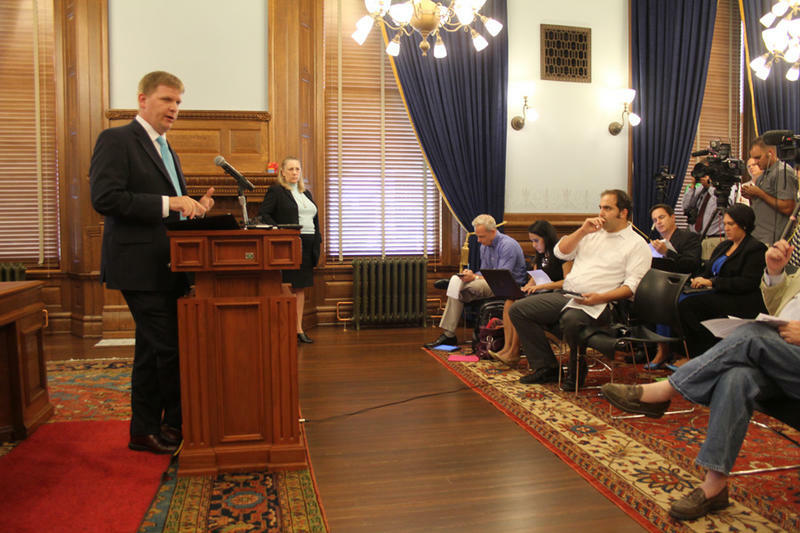 Brownback’s budget director, Shawn Sullivan, outlined in a Statehouse news conference. The biggest single change — $17.6 million — comes from the Children’s Health Insurance Program, or CHIP, which provides health coverage to children in low-income families.